Spend an evening in a creative safe place to start writing from your own personal experience for the stage. 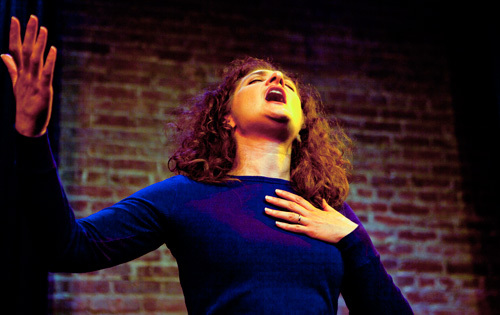 Develop your unique voice with writing exercises, improvisational techniques, and feedback in a short session with actor and solo performer Maria Grazia Affinito, on Tuesday, September 20, 2016, at 6PM in B-4 Dwinelle. Please wear comfortable clothes, and bring pen and paper. The event is FREE and organized in collaboration with Mark Kaiser of the Berkeley Language Center and Annamaria Bellezza of the Department of Italian Studies at UC Berkeley. Seating is limited and preference will be given to UC Berkeley/LBNL students, faculty, and staff. Please reserve your spot on Eventbrite today. We are a student group acting independently of the University of California. We take full responsibility for our organization and this website.